"The most beautiful pier in England"
Clevedon Pier will be remembering all gave the ultimate sacrifice for their country by holding a special Remembrance Day Service on Sunday 11 November. 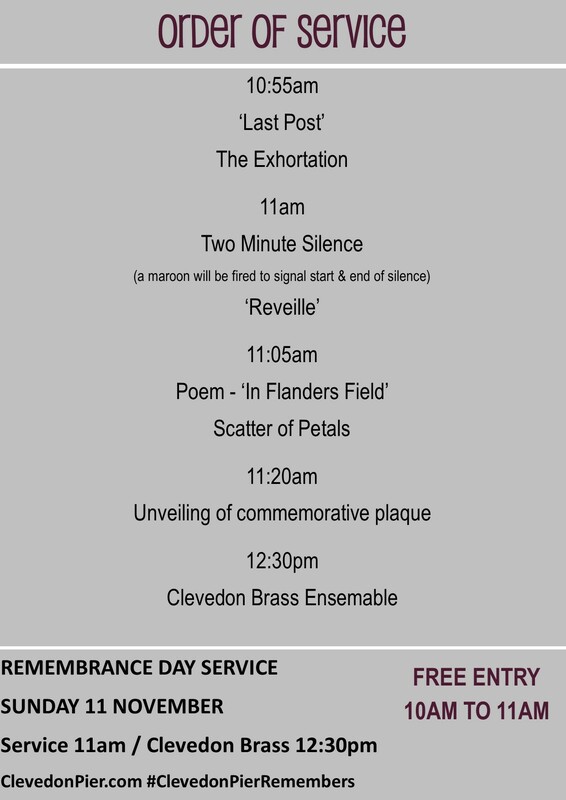 A two-minute silence will be held at 11am, with a maroon being being fired to signify the silence. 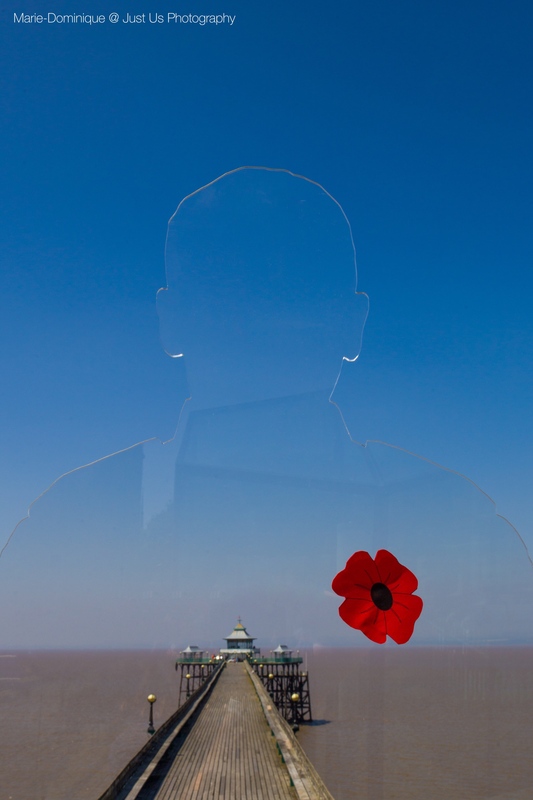 Our ‘There But Not There’ campaign, an art installation of remembrance will also come to an end. 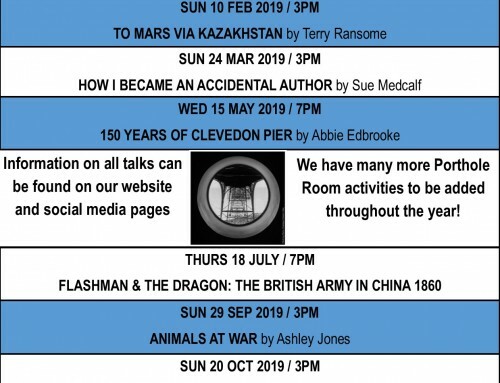 Over the last 100 Days we have honoured 208 men and 2 women from Clevedon who sadly did not return home, on two perspex silhouettes – a third unnamed silhouette honoured all from Clevedon who did return home. 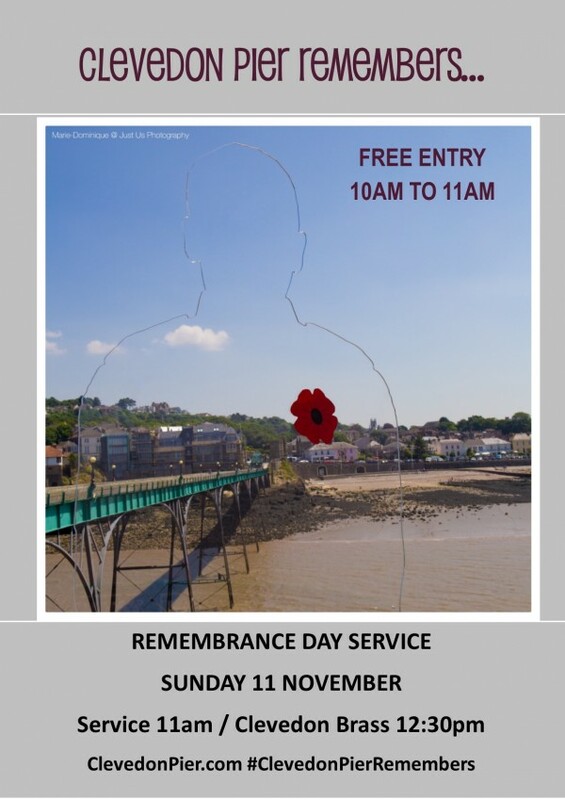 A special engraved plaque remembering all those will be unveiled also on the Pier in commemoration. 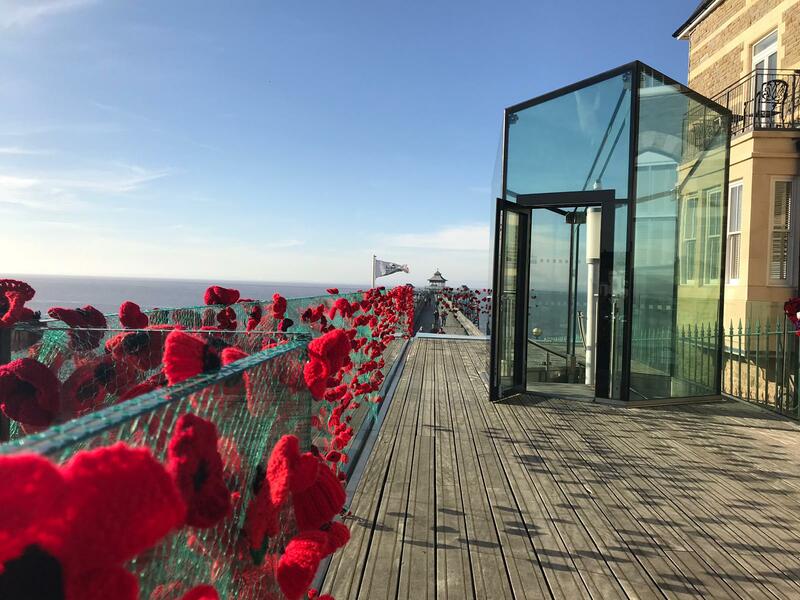 Our ‘Poppy for the Pier’ campaign will also be unveiled – We asked the community to knit or crochet poppies to be displayed on the Pier – We received well over 2000 beautiful poppy interpretations. 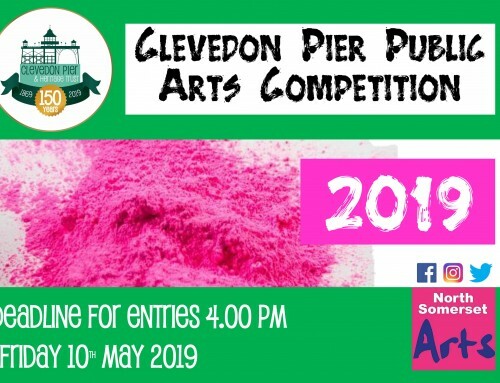 Clevedon Brass Ensemble will play at 12:30pm. 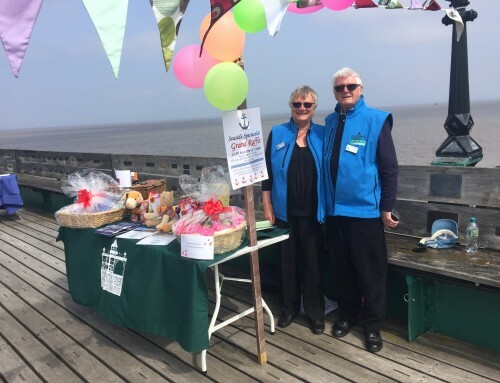 Free Pier Entry from 10am to 11am. 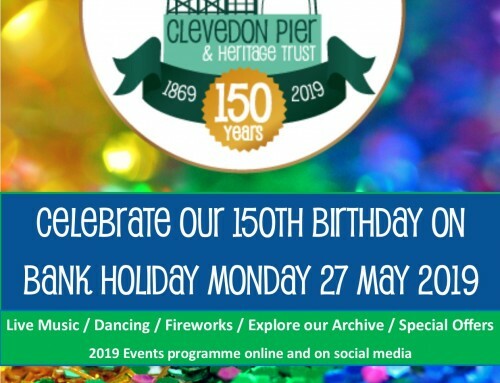 First 3 Acts confirmed for Clevedon Pier’s 150 Birthday Party! 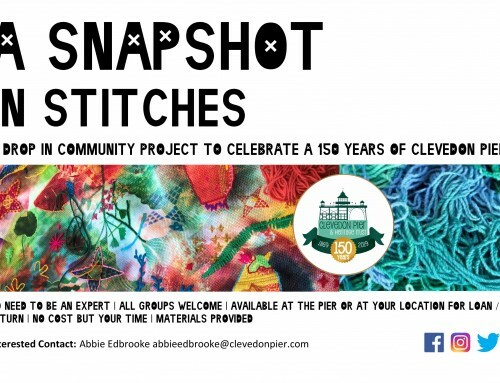 © Clevedon Pier & Heritage Trust Ltd.